What a week! I have been busier than a one-armed wall paper hanger 😮 I took pigs off to freezer camp today. We were up and moving early. Chores got done and my horses all got a spring time haircut. We mowed the lawn and trimmed it too. I spent quality time with my cousin whom I haven’t seen in months due to his demanding job. We continue to lay out our new garden plans with the raised beds. Some of our beds will become the home for our homestead fruit crops. The strawberries have worked out well, so other fruit plants will follow. 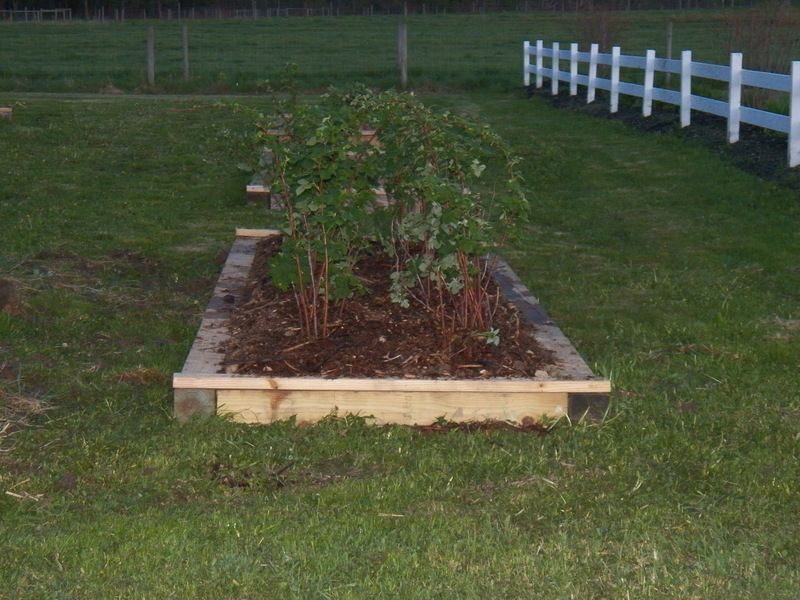 Today we moved some raspberry plants to one of the new beds. They look well, nicely planted and covered with a bark mulch. The rhubarb that we planted weeks ago is doing great. It has rooted in well. It takes all the willpower that I have, not to cut the new plant growth. I have some mint plants to move to a small yet to be built bed. Mint tea over ice is a summertime favorite. I acquired the taste for it long ago in my grandma Rice’s kitchen. We planted onions today and planned for the balance of the garden layout. The fields are wet, so farm work is on hold for a bit while mother nature waters her plants. It will all work out. It always does. I will sleep well tonight after a great day on the farm. My mind is clear because I know we are making progress.